The popular indie PC title did not pass Nintendo's content review process. Is it a secret Wii U feature or just a Wii idea that didn't pan out? 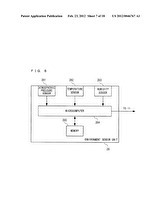 Nintendo is considering an environment sensor unit that could interface with the Wii, a recent patent application reveals. The filing reveals a number of possible applications. The sensor data can be used to predict the weather, estimate the time of year, and detect which room in which the device is located. The sensor readings can also be used to alter in-game content. The DS games have also been given a tentative release period. 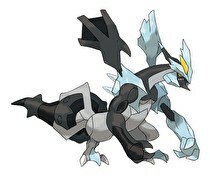 Pokémon Black Version 2 and Pokémon White Version 2 have been formally announced for release in North America and Europe. The announcements were made in two press releases issued by Nintendo announcing the localization, with both territories being given a release date of fall 2012 (which places the release date in either September, October, or November). The battle to defeat the Underworld minions will begin soon. Kid Icarus: Uprising will be launching for the Nintendo 3DS in Australia on March 29, 2012, Nintendo Australia announced. The game's story starts out with the return of Medusa, the Queen of the Underworld. Pit along with the help of Palutena the goddess of light, must combat the forces of darkness by air and land. Square Enix is starting a series of demos for the new title starting this week. The Nintendo president visits 3DS's in Japan! The DS will receive not one, but two sequels in Japan later this year. Two sequels to Pokémon Black and White have been revealed, titled Pocket Monsters Black 2 and Pocket Monsters White 2, as revealed on the latest episode of Pokémon Smash. 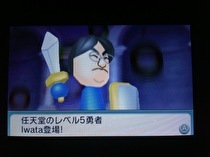 Iwata discusses the upcoming 3DS title with Masahiro Sakurai. Nintendo President Satoru Iwata sat down with Masahiro Sakurai, CEO and Director of Software Development at Sora Ltd., to discuss the development of the upcoming Kid Icarus: Uprising in a recent edition of Iwata Asks..
Nintendo Australia has opened up a new MK 7 community. Nintendo Australia recently announced that they have opened an official Mario Kart 7 Community. In addition to the new community group, there will also be various special guest challenges, with the first guests being people from the Nintendo Australia staff. Come play Resident Evil: Revelations' Raid Mode with the Nintendo World Report Community. Nintendo World Report is holding a Community Wi-Fi Night for the Raid Mode of Resident Evil: Revelations this Saturday, February 25. The main event kicks off at 7 p.m. Eastern, which is 4 p.m. Pacific and Midnight GMT. A new 3DS game looks to be on the way from the developers of Xenoblade Chronicles. Monolift Soft has begun recruiting for a Nintendo 3DS project. A page on their official website has put out a call for experienced developers in the areas of effect and motion development, and 3D models. The new game will be developed in the Kyoto studio. The hit WiiWare game is now making its way to the 3DS. Update: A Nnooo representative confirms that the game will be a downloadable title on the 3DS eShop. WiiWare game escapeVektor will be now coming out for Nintendo 3DS and Playstation Vita, Australian games developer Nnooo announced today. The scary spirit-snapping saga continues. The updated remake of Project Zero: Crimson Butterfly (known as Fatal Frame in the USA), the second game in the ghostly photography series, has been reconfirmed for a release on Nintendo Wii. The game, first announced early last year, will feature updated graphics and character models over its original PS2 and Xbox counterpart, as well as fluid aiming controls with the help of the Wii Remote. In the past week, this n-Space-developed game has been on hold, delayed until May, and now, possibly hitting shelves in March. 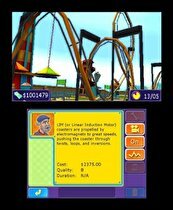 RollerCoaster Tycoon 3D, published by Atari and developed by n-Space, is due out on March 13, according to a Nintendo release list. The saga of this game has gotten quite confusing. 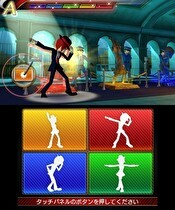 It was initially announced last year, slated for an early 2012 release. A few weeks ago, we confirmed with Atari that the game was on hold. Then, last week, it was listed for a May 22 release on various retailer sites. Shinobi, Dragon Crystal, and Sonic the Hedgehog: Triple Trouble will be the first Game Gear titles to hit the 3DS Virtual Console. Sega Game Gear games are finally headed to the Nintendo 3DS eShop. Originally announced prior to the launch of the eShop, their release was reconfirmed today during the Nintendo Direct conference. The first three titles, Shinobi, Dragon Crystal and Sonic the Hedgehog: Triple Trouble will be released on March 14 in Japan and mid-March in Europe. Sega's peculiar rhythm game is coming out in April with help from Nintendo. Rhythm Thief and the Emperor's Treasure is slated for an April 5 release in Europe, and will be distributed by Nintendo of Europe in the region. The game, developed by Sega, takes place in Paris centers around the mystery behind the disappearance of the main character Raphael's father. Also, there's a lot of dancing. Also, a Nintendogs + Cats demo is out today. 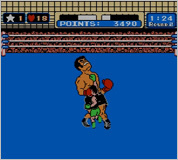 Punch-Out and Super Mario Bros. are coming out on the 3DS Virtual Console in Europe on March 1. Both are the first NES games to get a full release on the eShop in Europe. Super Mario Bros. is an Ambassador game, and came out in North America last week for $5. European plans mostly to be confirmed! Nintendo of Europe gave its fans a translation of the Japanese presentation with a couple of minor differences. The Dragon Quest Monsters game and Fatal Frame were left out and most content mentioned got a big ''European plans to be announced'' stamp on it, though there a few details that did stand out. Mario's new sports smasher gets a US release date. The latest game to grace the Mario Tennis series has been confirmed to be launching in USA on May 20, Nintendo Direct revealed minutes ago. For more new details about the game, see our report from the Japanese version of Nintendo Direct earlier this morning. The Last Story is coming to North America! The Last Story is coming to North America courtesy of XSEED Games, according to the Nintendo Direct presentation. No release date was given, though Nintendo of America President Reggie Fils-Aime did say it will be on store shelves by the end of the year.